Pixelogic Opens Digital Cinema, Audio Mixing Theaters in L.A.
Localization and distribution services provider Pixelogic has opened new post content review and audio mixing theaters within its Burbank, Calif. facility, including theaters capable of screening digital cinema packages, the company announced. 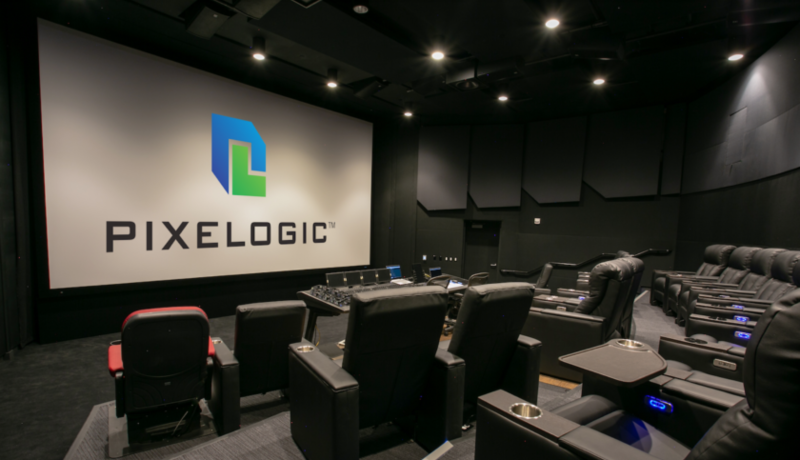 All of Pixelogic’s six projector-lit screening rooms support HDR, Dolby Atmos and DTS:X, while the main theater now includes a Dolby Vision projection system, the company announced. Four of the theaters are equipped with Avid S6 consoles, and Pixelogic is also including 4D motion chairs for testing and verification of 4D capabilities. “The overall facility design enables rapid and seamless turnover of production environments that support Digital Cinema Package (DCP) screening, audio recording, audio mixing, and a range of mastering and quality control services,” said Andy Scade, SVP and GM of Pixelogic’s Worldwide Digital Cinema Services. Pixelogic added the theater investment better supports its feature and episodic audio mixing abilities for its foreign language dubbing business.